Working on the Goal Scorer's Touch | Ice Hockey Systems Inc. 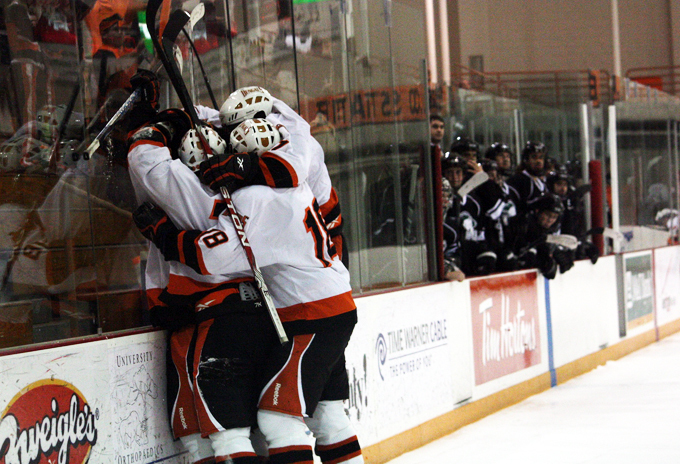 The ability to get the puck off the stick and on net is a skill reserved for goal scorers. So many young players want to take that extra stick handle, and in doing so spoil their scoring opportunity. Examples of both were evident in the 2013 Stanley Cup Finals. Take Daugavins play in overtime of Game 1 in the Cup Finals for example. Instead of releasing right away, one too many moves (and a great play by Oduya) took the scoring chance away. Or take for example Patrick Kanes OT Goal in Game 5 of the Western Conference finals. The puck was off his stick before you know it. Had he held onto the puck a split second longer, Quick would have time to re-set himself and square up to the puck. With a release like that on a puck sliding cross ice, Quick or any other goalie in the world didn't have a chance. 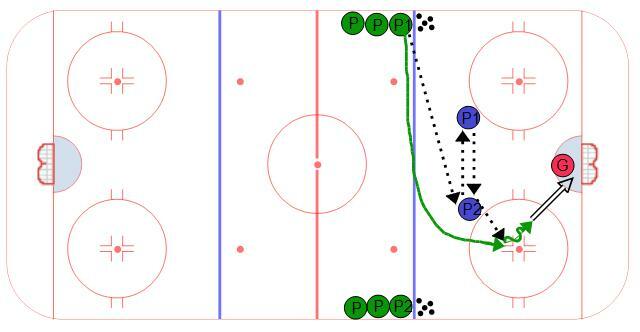 Below are some hockey drills that focus on quick releases. In each one the players are receiving a pass in the scoring area from different angles. The idea is to get the puck off their sticks as quickly as possible. Here is a great small area game your players will LOVE! There are 6 players in a small space so quick decisions, passes, and shots are key to being successful. Players will have a lot of chance to finish pucks. Back door passes and rebounds will be in abundance and goalies will a great workout. 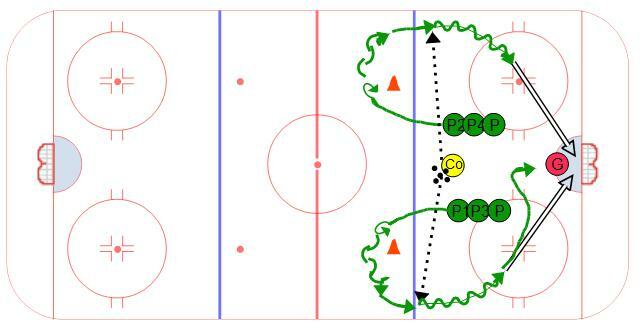 To view all of the details visit Quarter Ice 3 vs 3 Small Area Game.